Prime Value Invest GmbH is an owner-operated company with a clear sense of responsibility. For us, every project is more than simply an investment or a management task. We want to create values and maintain, further develop and then sustainably take care of these values - for our customers, business partners and users. Independence is our greatest asset. It allows us to quickly, simply and flexibly drive decision-making processes forward and thus always achieve the best result for our customers and partners. Investment management, asset management and project development; these are the three solid pillars on which our company is built. Professionalism, consistency, humanity and creativity are the building blocks for our successful and trustful work. A young, motivated team solves the complex real estate-related problems in a variety of business areas with a high level of competence and qualification. 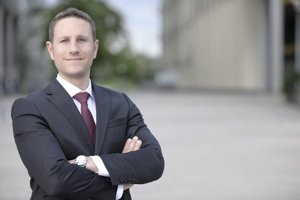 Julian Weber holds a degree in industrial engineering, a master’s in business administration and is a real estate economist (IREBS) with several years of expertise in the financial and real estate business. In his previous positions in the fields of asset and investment management for a number of Anglo-Saxon and German investment companies, most recently for Goldman Sachs/Archon Group Deutschland GmbH, Julian Weber has supervised transactions with a balance sheet value of more than one billion euros and managed and optimized properties with a balance sheet value of more than two billion euros. In 2014, he founded his own company, Prime Value Invest GmbH of which he is the managing partner. He is also active in a number of holding companies. Stefan Warmuth is a certified real estate professional (IHK), a real estate economist (ebs) and a Professional Member of the Royal Institution of Chartered Surveyors (MRICS) and has successfully worked in the real estate branch for more than 15 years. In addition to career steps as a professional and manager in the fields of property- and asset management for German and international investors, he worked as an executive sales manager for many years. In this respect, the spectrum of employers extended from owner-managed medium-sized businesses and family offices to the HOCHTIEF Group. 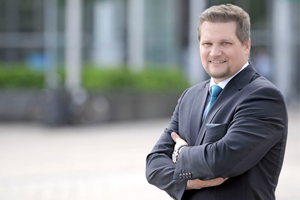 Stefan Warmuth has extensive experience in all property asset classes ranging from residential and office to retail and special-purpose properties. He was appointed to the managing board of Prime Value Invest GmbH in 2016.